Lisa Padilla is founder and CEO of NewPathVR, a VR company specializing in personal development and emotional intelligence applications in virtual reality. A 25 year marketer and advertising professional, she has worked in a wide variety of industries and is strongly focused on multimedia, marketing, and product strategy. Lisa's early career started at advertising agencies Foote, Cone & Belding and Euro RSCG. She studied multimedia at Academy of Art, worked on Apple's first social network called eWorld. Lisa has worked directly with Apple, Intuit, Hewlett-Packard, LEVIs, Blue Shield of CA, Sequoia Hospital and many startups over the years. She sits on the board of Tech in the Tenderloin, a San Francisco community organization and participates in many other community acitivities "to introduce VR to the populations who may benefit from it most." She is also a recognized virtual reality artist whose work has been shown in art shows, journals, and articles. Dr. Bruce Pither graduated with honors in the Humanities from Stanford University and received a National Institute of Mental Health Fellowship to pursue his Master’s and doctoral studies at the University of Nevada. He also studied for a year at the Université de Nantes in France, and received additional training at the Family Support Project at the Nevada State Hospital, at the V.A. Hospital in Palo Alto, at Esalen Institute, and in outpatient services at the Psychological Resource Center in Los Altos, California. Dr. Pither has been in independent practice for over 25 years. In addition to his psychotherapy practice, Dr. Pither has offered courses in Organizational Communication, Psychological Assessment, and Employee Counseling at NASA and Sierra University. He co-developed an Employee Assistance Program at the Stanford Research Institute and served as a consultant for the Palo Alto Medical Foundation. He has trained doctoral students in the Employee Assistance Program at El Camino Hospital, Sierra University, and in his independent practice. He is the President of the San Francisco Psychological Association in San Francisco, CA. Steve DiPaola, active as an artist and a scientist is past director of the Cognitive Science Program at Simon Fraser University and leads the iVizLab (ivizlab.sfu.ca), a research lab that strives to make computational systems bend more to the human experience by incorporating biological, cognitive and behavior knowledge models. He is most known for his AI based computational creativity (darwinsgaze.com) and 3d facial and body expression systems (for The Sims). He came to SFU from Stanford University and before that was a senior researcher at NYIT Computer Graphics Lab, an early pioneering lab in high-end graphics techniques. DiPaola taught the first VR course at Stanford University. He has held leadership positions at Electronic Arts, Saatchi Innovation and has consulted for HP, Kodak, Macromedia and the Institute for the Future. His computer-based art has been exhibited internationally including the AIR and Tibor de Nagy galleries in NYC, the Whitney Museum, the MIT Museum, Cambridge University’s Kings Art Centre and the Smithsonian. His scientific work has been published in over 50 peer-reviewed scientific publications and showcased in the journal Nature, the New York Times, Wall Street Journal as well as demonstrated on stage by Bill Gates. He often combines the work of his science and art and has collaborated with Will Wright, Nam June Paik and Kraftwerk and is known for making computational media tools used equally by artists and scientists. Kristina Suhr Olsen is a masters student and researcher in the areas of psychology and virtual reality. Previously she has worked with adults and youth and their families struggling with alcohol, narcotic, and sexual addiction. She has also spent time as a psychological counselor improving health and mental conditions for those dealing with stress at companies in Denmark. She was a volunteer group leader for an association of people diagnosed with anxiety disorders, offering treatment and prevention and activities. 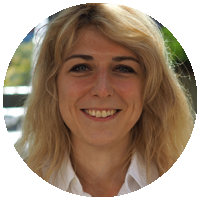 She has a bachelor's degree in psychology from the University of Copenhagen and is presently serving as VP of Research and Development with NewPathVR in Copenhagen, Denmark. Åshild (pronounced "ah-sil") Birgitte Fossum is a masters student at The Norwegian School of Economics, one of the leading business schools in Europe. She specializes in business analysis and performance management and will graduate spring 2018. 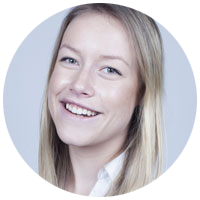 Åshild has experience with banking and financial services but has also worked with communication and strategy in various projects at NHH. With great interest in the interface between business and technology, she is now a participant at The Innovation School, a collaboration between NHH and University of California, Berkeley. Åshild provides marketing and PR help to the team. Daria Siganova is an MBA student at Hult International Business School, she specializes in Marketing and Social Media, and will graduate in 2018 with a dual degree in Marketing. 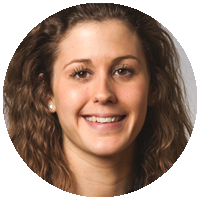 Daria has 5 years experience in Financial Services sector in Banking and Insurance and had worked in strategy and business development, as well as two large transformation projects. She had her BSc in Management from London School of Economics and Political Science, one of the top universities in the UK, and had spent half of her life there. She is interested in all aspects of business, in particular questions involving strategic direction of the company. Daria is currently working on research into social and cultural aspects of the development of AI technology. Daria is our Marketing Operations Manager. Eiran Shalev is an experienced technical, hands-on leader with 20 years of professional expertise overseeing top teams on mobile, social, and web technologies for products ranging from multi-player mobile & social games, to streaming video ads to interactive television and more. His recent work includes laying groundwork at Google's Advanced Technologies and Projects (ATAP) team. Prior to that he shaped the technical vision for Disney Interactive's mobile technology platform, helping to scale and deliver it to all game studios. Before that, he spent time at Koolbit, Kabam, and RockYou! He has built more than 50 games. 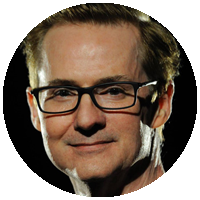 Fred Davis is an experienced entrepreneur, technology pioneer, and public speaker. He has played a part in the tech industry for over 30 years and has been hailed as a technology visionary for pioneering and predicting many innovations and industry trends. Fred played an instrumental role as part of the startup team in two multi-billion dollar startups, CNET and Ask Jeeves (now Ask.com). Fred was also one of the founding team members at Wired magazine, winner of numerous publishing awards. He's written 14 books about computers and technology, including the first book on Desktop Publishing, and the award-winning Windows Bible series. One of the founders of the Ziff-Davis computer publishing division, Fred served as editor of several of the world’s leading computer publications, including PC Magazine, PC Week, A , and MacUser, and ran all of the industry-leading product testing labs at those publications. Today, Fred is working with a number of startups, and is a mentor at several SF startup incubators. He is especially interested in virtual reality and has been a VR advocate for many years. 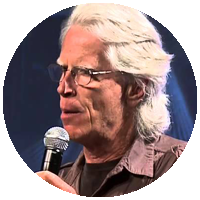 Michael Gosney is a multimedia publisher, media and event producer whose work over 30 years has addressed holistic health, spirituality, ecology, technology, and community. He was an early digital media pioneer, publishing Verbum, one of the first desktop published magazines, and the first true multimedia CD-ROM in 1991. His books, media projects and events all have a common thread of technology and consciousness. Based in San Francisco, California Michael is Managing Director of the Techné Verde ICT research project with the Buckminster Fuller Institute, Associate Publisher of Synergetic Press, and the co-founder of the Green Century Institute www.greencentury.institute on sustainable communities.